Edit: Map is no longer being worked on. I've been working on this Eclipse variant as a hobby over the course of the past few months and I finally am making a thread about it. 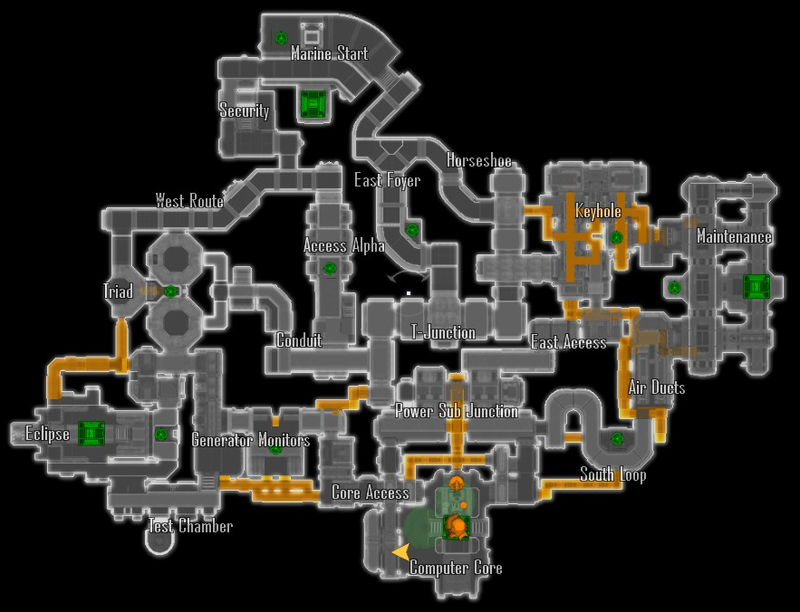 Initially intended to just focus on making Eclipse more enjoyable in pub environments, but the map has since turned into it's own thing. Here's the -now outdated- map layout. Gameplay footage courtesy of BeigeAlert. 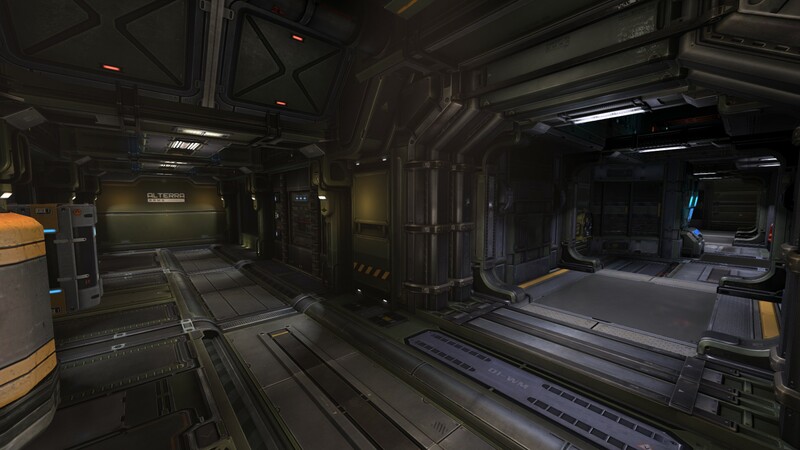 Check the Steam workshop page for more images and to download the map. After very brief testing, the map already clearly plays better than the official map... 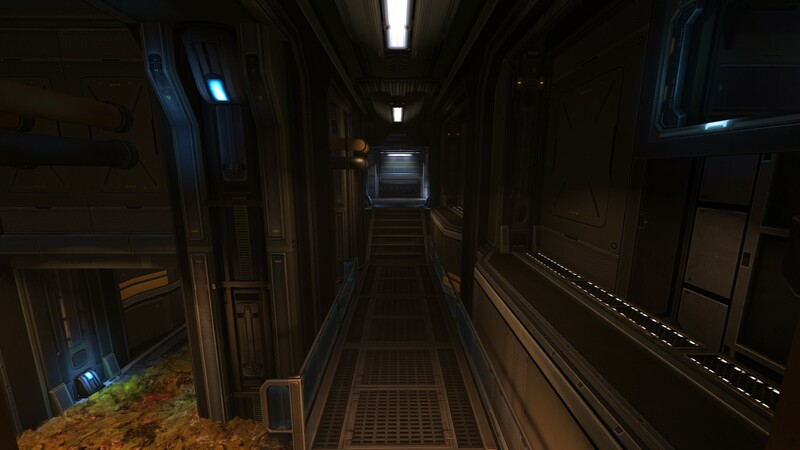 It does however require some slight modification in my opinion, there are certain dead-ends that can cause confusion and one or two VERY tight corridor connections (so tight an onos barely fits through)... adjust this and I can see me genuinely enjoying playing Eclipse. That is definitely a possibility in the future. I have an idea for eliminating some of the confusion in the South Loop area. Move South Loop down further south-east. 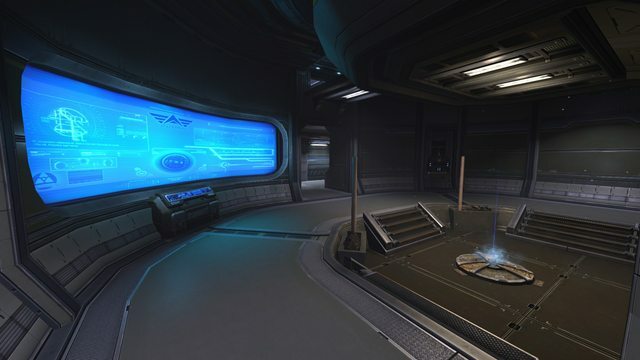 This frees up some of the clutter in that area, and also means the marine commander cannot arc out the alien natural so easily... not that that's happened yet in our testing, but it's a possibility. 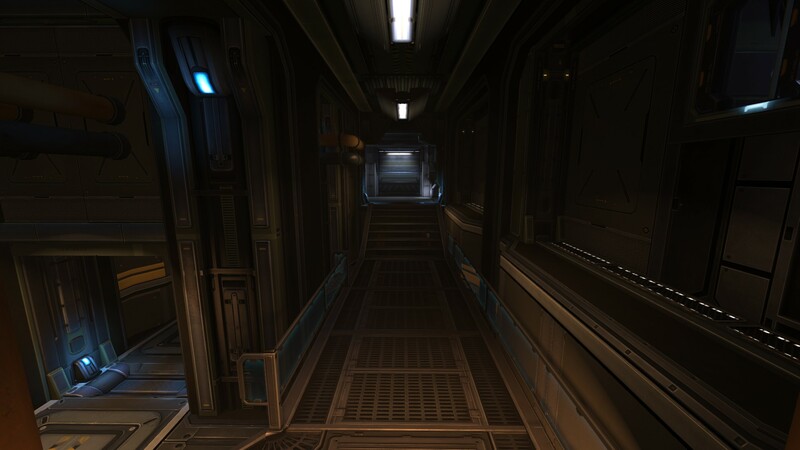 My biggest gripe with Eclipse is that it has too many narrow hallways. 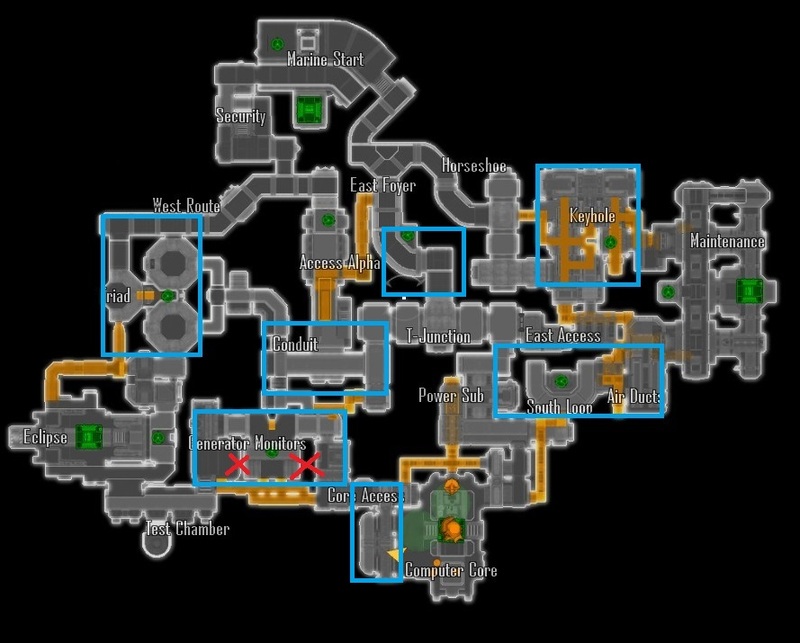 The map consists of like 75% hallway, which is too much choke. It is (too) good for the aliens early game, because you're constantly in bite range as a skulk, but (too) bad in mid to late game because you're constantly in shotgun range. As a lerk you need to be able to spike shotgun marines and as a fade you need to be able to maneuver around the shotguns meatshot range. Currently this is only really possible in Triad, the tech point rooms and maybe Keyhole (ceiling could be higher). 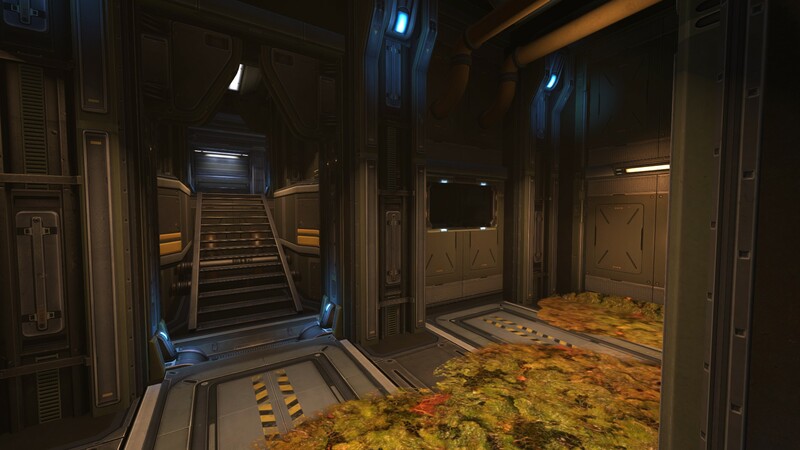 There needs to be fighting room for big engagements all around the the map. Generator Monitors is way too clustered. You should remove the walls to the east and west of the RT and increase the room height. Maybe use pillars. 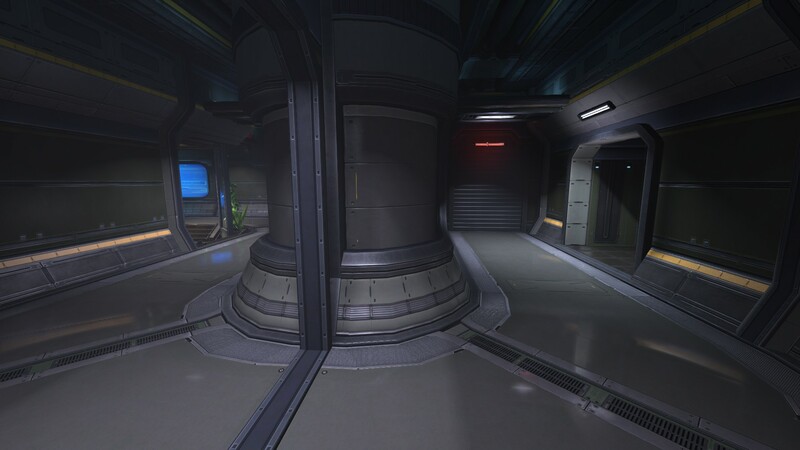 The Conduit part below Alpha Access should also be enlarged to the north and south and have its height increased. I don't really know what to do about the whole south loop area. I think you need to merge some of the rooms or make a bigger south loop. Computer Core hive is not defendable against arcs from Core Access at all. It's huge choke point without a away around for the life forms. You either need to move the techpoint back to the south and remove that siege spot or drastically enlarge Core Access. I've marked the parts with blue squares where I think that enlargement needs to happen. @Bicsum I think the south side of core access is perfect, wide corridor with cover in the middle and the doorway as the choke point. The rest I totally agree with! I don't know man. I felt kind of helpless trying to defend the gorges as a fade. The marines don't need to push out of that choke and can just chill on top of their arcs, while the back side isn't reachable, since it is blocked by two phase gates in Generator Monitors and T-Junction. 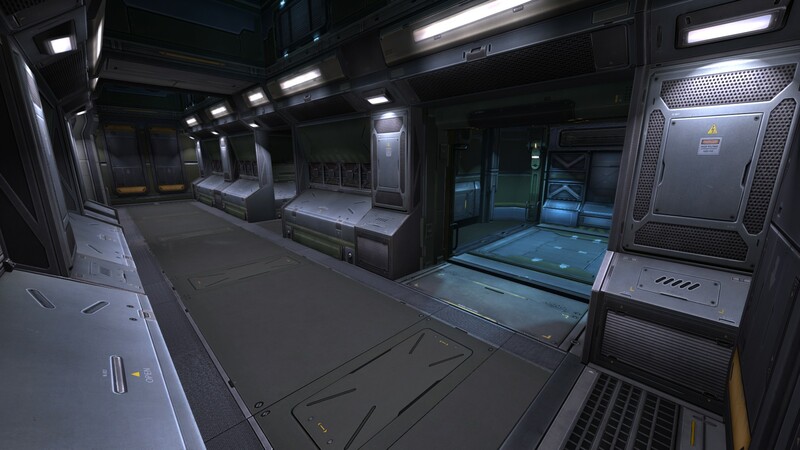 And even if you manage to reach the marines, it is just a terrible place to fight in. It's a narrow hallway with stairs. It's just suicide to go in there. Such is the woes of NS1 map remakes. 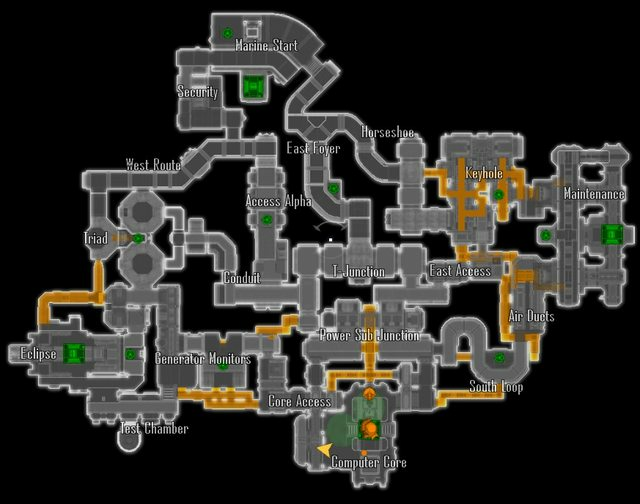 UWE went for a 1:1 approach for the most part and as such the map is filled condensed hallways rather than large open rooms like NS2. I will see what I can do about certain areas of the map but straight up redesigning a majority of the rooms is beyond the scope for what I intended with this balance project. I guess it isn't possible to just select a section of the map and scale it to 120%? Or select a rooms ceiling and move it up and then reconnect the walls back to it? So that you'd just extend the existing hallways to make them more room-like? Unfortunately not, you have to do it all manually... there is a scale tool, but altering large sections is just plain bad and causes more issues than it solves. the scale you're talking about, it would probably be easier to go in and alter each bit manually over time... but its a LOT of work. Widened the corridor leading from Power sub to Computer Core. Not to start a pro-plant anti-plant war, but I added 4 plants into south loop after inverting the platform. 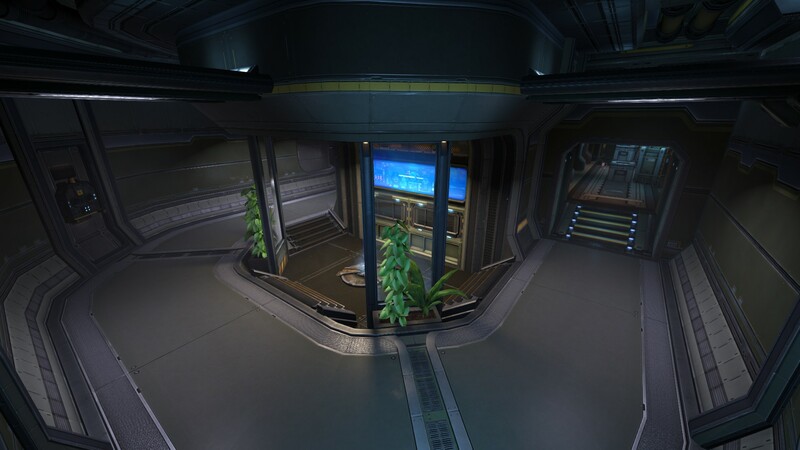 The taller plants have collision inside them so skulks can walljump easier. plants are a bit inconsistent around the entire games. Some have collision and some don't have so I would always place them outside of playable area and replace those with something else. I removed the plant collision and now you have these nice south loop glass panels again. My pov from today's playtest. I forgot to stop recording in the middle, so both rounds are in the same video. IEPT please watch the video at 30:05 - :10 when Beige jumps into that doorwall too. It's very misleading to lot of players. The problem isn't only the spotlight on it, but it also looks kinda like a door. 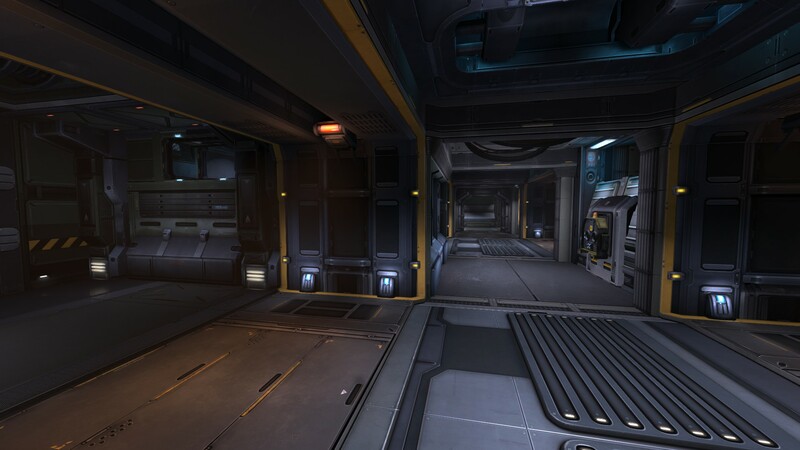 Just remove the spotlight and/or change texture or put prop in front of it. @pSyk0mAn Players aren't going there because it's misleading, they're going there because it's still in subconscious memory that you could go through there. I even put a prop where the doorway is and people still walk in there. It's the phantom pain of doorways. 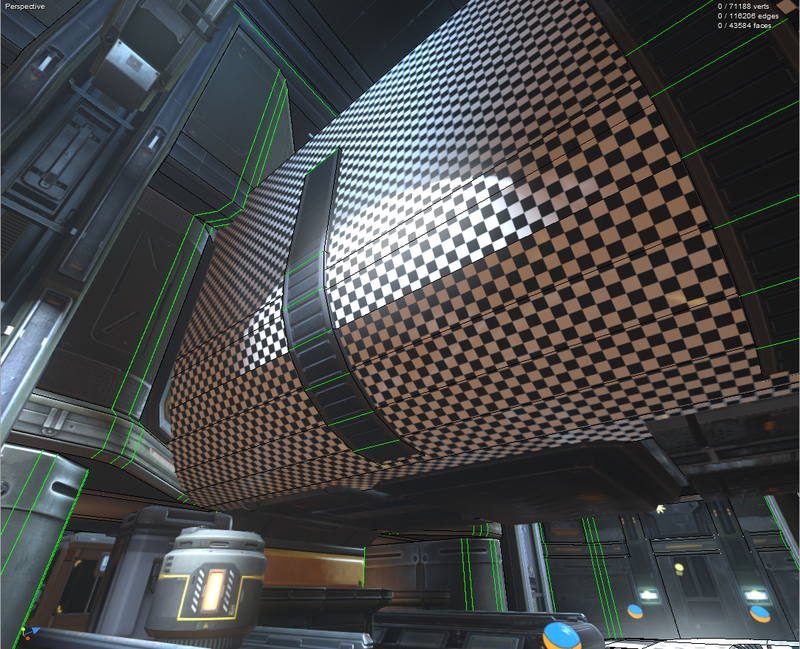 I removed the spotlight and I'll work more on it later, maybe put a curve so it flows better onto conduit. I just realised that there are no vents linking to Marine Start. If the games start on the west and east side, the marine start room should get a vent or two perhaps one from west route to security and another one to the "tip" of horseshoe. Marines always start in the north, so Horizontal spawns can't happen. Also, putting Vents into the marine starting location is 99% of the time a bad idea. if this were to be done, it would have to be done incredibly carefully, and be thought through before making that change. By request I moved SouthLoop RT to the south east safe from possible East Access arcs. I also re-routed East Access to the old northern power sub junction connector. It was a large change for me so expect some issues, but hopefully not gamebreaking ones. I will only call it sloop from now on. I pushed a throwback build with the intention of testing whether the downfall of Eclipse start being a reliable alien start and second hive pick was related to the previous map changes, also included is a power sub junction based off of the one in eclipse_v1 by samusdroid. It should also be easier for a comp core hive to defend against arcs. Pushed a slightly different one.